MOBO award-winning hip hop artist ‘Akala’ is a label owner and social entrepreneur who fuses rap/rock/electro-punk with fierce lyrical storytelling (think Wu-Tang Clan and Aphex Twin meets Rage Against The Machine). With his latest album The Thieves Banquet, Akala once again proves himself as one of the most dynamic and literate talents in the UK. Inspired by the likes of Saul Williams and Gil Scott Heron, Akala has also developed a reputation for stellar live performances with his drummer Cassell ‘TheBeatmaker’ headlining 5 UK tours and touring with everyone from Jay-Z, Nas & Damian Marley, M.I.A. and Christina Aguilera to Siouxsie Sue and Richard Ashcroft, appearing at numerous UK / European and US festivals (Glastonbury, Big Chill, Wireless, V, Hove and SXSW) also partnering with the British Council promoting British arts across Africa, Vietnam (the first rapper to perform a live concert in Vietnam), New Zealand and Australia. In 2009, Akala launched the ‘The Hip-hop Shakespeare Company’, a hotly-tipped music theatre production enterprise which has sparked worldwide media interest since its inception. Previous collaborators include: British actor; Sir Ian McKellen, actor/musician; Colin Salmon and Royal Shakespeare Company Voice Director; Cicely Berry. 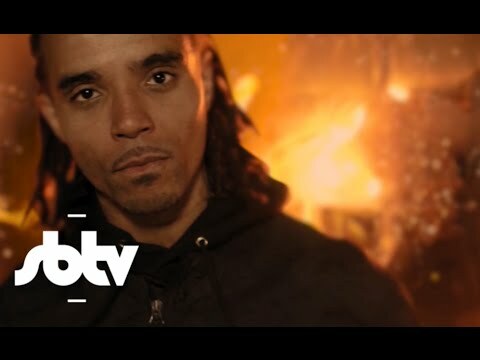 Akala has also featured on numerous TV programmes across MTV, Channel 4, ITV2 and the BBC. 2011 see’s the launch Akala’s latest endeavour ‘Illa State Productions’ to garner his budding scriptwriting talent alongside TV presenting and as a music composer for various TV and Film projects. smart, addictive and right on the mark. a spirited corrective for mainstream hip-hop’s directionless excess.